From left: Dantiel W. Moniz, Sara Johnson Allen, Michael Lee. 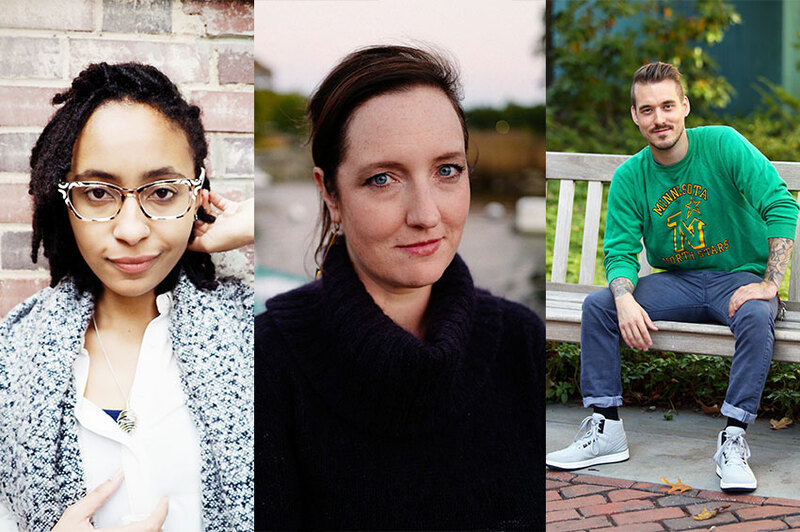 We are thrilled to announce the winners of the Cecelia Joyce Johnson Award, the Marianne Russo Award, and the Scotti Merrill Memorial Award. The overall quality of the hundreds of submissions we received before this year’s deadline is testament to the fact that we live in a vibrant time, and in a world that is animated, informed, and documented by powerful literary impulses. Unique and divergent works are being produced by an astonishing number of writers. It is a good time to be a reader. Dantiel W. Moniz is a homegrown Floridian and MFA candidate at the University of Wisconsin-Madison. Her work has recently appeared or is forthcoming in Tin House, Apogee Journal, and elsewhere. She has received support and residencies from Hedgebrook and the Whiting Foundation, and is currently at work on her first novel and short story collection. Sara Johnson Allen is originally from Raleigh, North Carolina, and lived in upstate New York, Atlanta, and Boston before settling in Ipswich, Massachusetts. She is an associate professor at Endicott College. Sara received her MFA degree in creative writing at Emerson College in 2005. Her fiction has appeared in Harpur Palate, Redivider, and Byline Magazine. She is cofounder of the L’atelier Writers workshop and retreat, which will host its fourth annual event in June 2018. When she is not grading papers or chasing after her three kids, she likes to write about ‘place’ and how it shapes us. Michael Lee is a Norwegian-American writer, youth worker, and organizer. He has received grants and scholarships from the Bread Loaf Writers’ Conference, Minnesota State Arts Board, the Loft Literary Center, and Metropolitan Regional Arts Council. He is author of the chapbook Secondly. Finally (Organic Weapon Arts), which won the David Blair Memorial Prize, and his work has appeared in Hayden’s Ferry Review, Ninth Letter, Indiana Review, and Copper Nickel, among other journals. He has worked as a dishwasher, farm hand, youth counselor, teaching artist, traveling performer, and arts programming coordinator for youth experiencing homelessness. A recent alumnus of the Harvard Graduate School of Education, he lives in Minneapolis with many books and a coffee pot. The Key West Literary Seminar Emerging Writer Awards recognize and support writers who possess exceptional talent and demonstrate potential for lasting literary careers. Each winner will join us in Key West for the 2018 Seminar and Writers’ Workshop Program, and receive a prize package including a $500 honorarium, the opportunity to appear on stage during the Seminar, and full support for travel and accommodation.